PLYMOUTH’S Annabel Denton has been named in Team GB’s squad to compete at the Buenos Aires 2018 Youth Olympic Games. 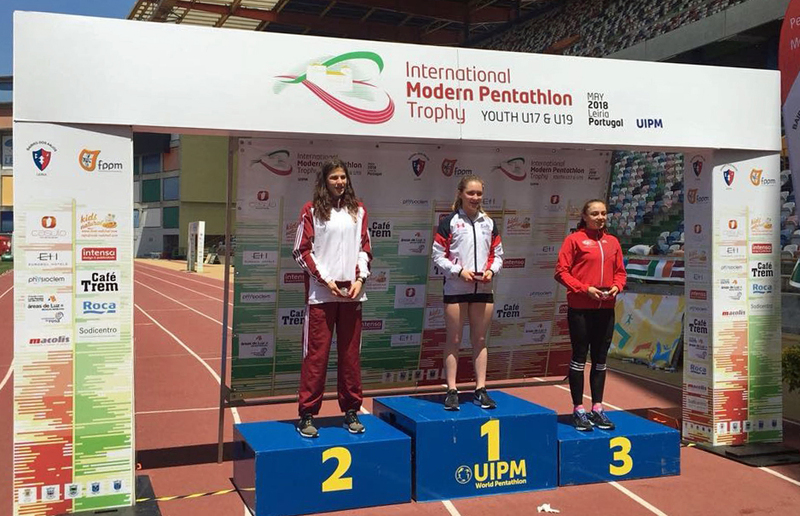 The 15-year-old Plymouth College modern pentathlete joins 41 other athletes named in the party confirmed by British Olympic Association on Thursday. The Games will run from October 6 to October 18 and will see Team GB compete in 17 of the 32 sports on the programme. All athletes had to be aged between 14 and 18 years old, so Denton is one of the youngest on the team. Also in the squad is Devon cyclist Harry Birchill. Denton qualified for the Games courtesy of her place on the YOG ranking list. The ranking list uses the top three points scores with Denton’s counting competitions coming from her victory at May’s U19 international trophy in Portugal, an eighth place finish at this year’s Under-19 European Championships and a seventh place at the Kyrgyzstan Open Championships last season. Team GB are only sending one male and one female pentathlete to Argentina. Mahdi Choudhury, Team GB’s Chef de Mission for Buenos Aires 2018 said: “Being selected to Team GB for a Youth Olympic Games is a fantastic achievement and our 42 young athletes should be hugely proud to be heading out to Argentina next month. “Buenos Aires 2018 will offer a fantastic opportunity for our team to experience a multi-sport event for the first time and I’m sure it will act as a great springboard for their own senior Olympic dreams. “Youth Olympic Games such as Buenos Aires offer the chance for young athletes to experience life in an Olympic Village, mix with competitors from different sports and nationalities, and are given the chance to grow as individuals as well as athletes.